Welcome to MOLLY MAID of St. Petersburg / Clearwater. We’ve been providing high-quality maid services to residents in Pinellas County since 1996. At Molly Maid, we specialize in professional house cleaning services, which means we’ll handle all your house cleaning needs so that you don't have to. Customers choose our local cleaning company because we don’t require contracts. Our employees are professional, insured, and offer a thorough, customized cleaning service. For over 20 years, we’ve tailored our housekeeping services around the wishes of our clients. From dusting, vacuuming, and mopping, to a thorough cleaning of bathrooms and kitchens, and spring cleaning. You can trust that our maid service will deliver a thorough house cleaning every time we are in your home - satisfaction guaranteed! We recognize that every customer has different needs when it comes to the cleaning of their home, so we provide a free in-home estimate so that we can tailor your cleaning specifically to your needs. To give you the best price possible, the estimator will walk with you through your home and help to determine your specific needs and, of course, answer any final questions you may have of our services. Do you still have questions about hiring a professional cleaning company for your home? Here are some of the most frequently asked questions regarding our maid services. Do you send the same team each time? We make every effort to send the same team to your home; however, occasionally regular team members may be absent, but rest assured that all Molly Maid team members are professionally trained and will provide you with excellent service. How do you charge for the cleaning? There are no contracts with Molly Maid, unlike many of our competitors. We want to earn your trust with each and every clean. A customized flat rate is provided to all our Weekly and Alternate Weekly Customers. Initial, One-time, Monthly and Occasional cleans are based on an hourly rate for the time spent cleaning your home. All pricing includes a team of two Molly Maid Home Service Professionals and is based on the square footage of the home as well as any specific details provided by the customer. One of the benefits our customers enjoy most about Molly Maid is the convenience of not having to be home while we clean. 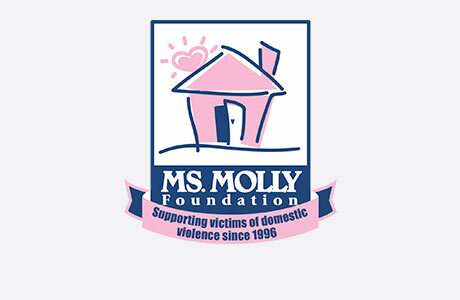 Many of our regular customers utilize Molly Maid's key service so that they can go about their day and come home to a clean home. Each key is given a random code that is specific to our office. We do request for One-time and Move-in/Move-out customers to remain with their cleaning team to assure the clean is to your specifications. If you have additional questions about our cleaning services, please feel free to give us a call at (727) 240-3547. Request a free in-home estimate and learn why your local Molly Maid is the most trusted name in home cleaning.